Practical Advice for Mahamudra Meditators. Crystal Clear, by the learned and realized Tibetan Master Thrangu Rinpoche, is a companion volume to the classic meditation manual Clarifying the Natural State. 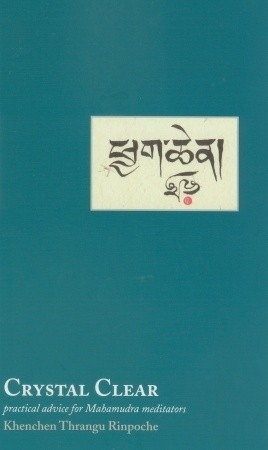 In his straightforward and lucid style Rinpoche gives us an indispensable guidebook for insight practice (vipashyana). For people who want more than just theory, this is a handbook that begins with watching the breath and leads practitioners through stages of realization, all the way to complete enlightenment.